Has black coffee become too boring and tasteless to you? Do cream and sugar just not do it for you anymore? Good news – there’s hope. Thanks to the tireless ingenuity of the American, plus the tireless efforts of others across the world, there are way to “spice up” your boring old cup of coffee – both literally and figuratively. In the scheme of things, adding salt to coffee is not incredibly strange. After all, salt is added to just about everything, so why stop at coffee. Salt performs its usual function in coffee by perking up the flavor and over-shadowing the weaknesses of cheap or over-roasted coffee. Adding salt to coffee is common in Scandinavian countries, Siberia, Turkey, Hungary, Ethiopia, and Eritrea. 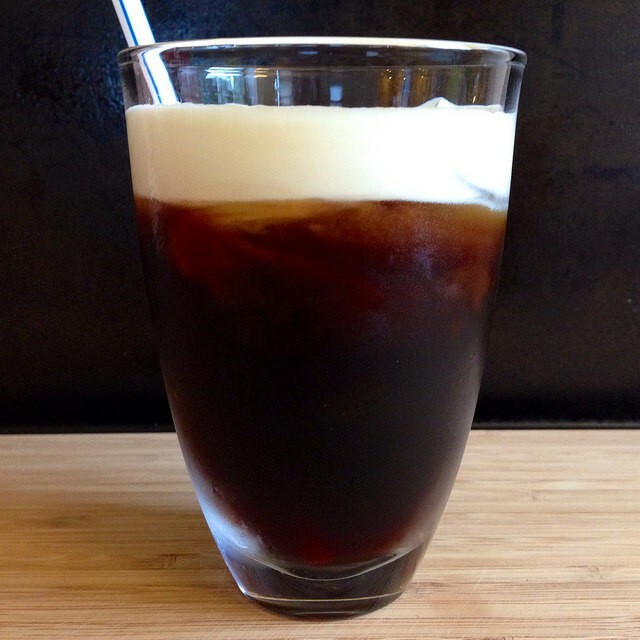 In Taiwan, the country’s largest coffee chain, 85°C, Sea Salt Coffee has become their most popular drink. Don’t be surprised if the trend migrates to America. We wrote about this wonderful product in a blog post here. Basically, Tibetans have added Himalayan salt and a small slab of yak butter to their tea, and a wise American decided to make money off of the custom by inventing Bulletproof coffee. Who knew that adding butter to coffee is healthy – and really tasty? According to Bulletproof, it absolutely is – and is. 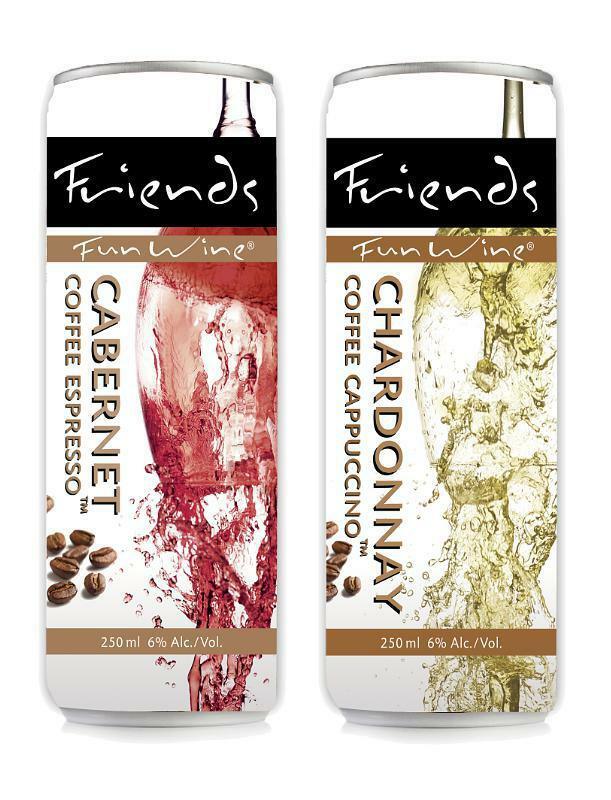 This ingenious mixture of two awesome drinks come from the good folks at Friends Fun Wine. Think of it as a more sophisticated version of Red Bull and vodka. Flavors include Cabernet Coffee Espresso and Chardonnay Coffee Cappuccino. Like most fine wines – and coffees – it comes in a can. Crazy Scandinavians have been known to add egg to their coffee – either egg shells or egg white will do, and they add one or both to the grounds before brewing in order to reduce bitterness in the coffee. 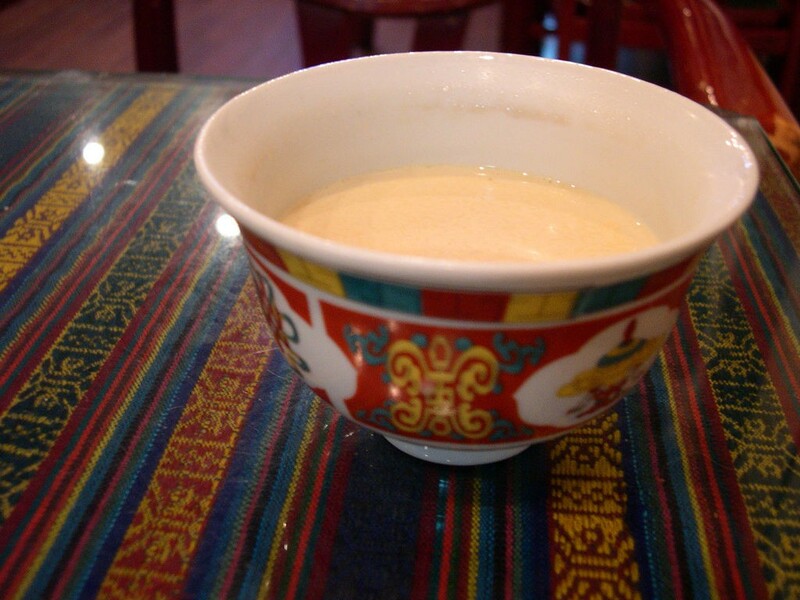 And then there’s Vietnamese Egg Coffee, where egg yolks, sugar, and condensed milk are added to coffee in order to make a rich, dessert-like coffee. It had to happen, and it has. Actually, it hasn’t happened, but it could soon. The fine folks at Mirth Provisions have the product invented and they’re ready to manufacture it, but legal hang-ups in the fledgling let’s-put-pot-in-everything industry have held them back. Read the story here. Hopefully, it will happen soon, but, until that happy day, they do sell pot-infused sodas. In the meantime, you can truly wake and bake by making your own THC-laced coffee. Read how here – the secret is making bulletproof coffee with cannabis-infused butter. 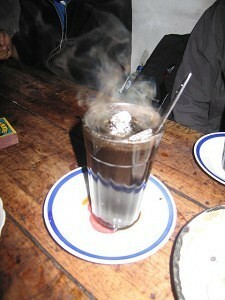 In Indonesian invention, Kopi Joss coffee is brewed just like any other coffee – until the crucial final step. After the coffee is brewed and poured into a cup, a chuck of red-hot charcoal is added to the coffee. Why? To neutralize the acidity in the coffee. Any coffee connoisseur worth his salt prefers charcoal in coffee over acidity. They’re doing this all over the place – or at least in 2 parts of the globe. In the Hispanic tradition, it’s called “Guarapo con Queso” and it’s made putting a small, sugar cube-sized piece of queso blanco in the bottom of the coffee cup before adding the coffee. In Finland, it’s called “kaffeost,” and the drink is made in a similar way using Leipäjuusto, a “Finnish squeaky cheese” made from the rich milk of a cow -or goat or reindeer – that has recently calved. 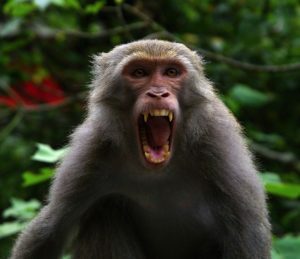 Pesky Formosan Rock Monkeys in the mountains of Taiwan have long eaten ripe coffee cherries and then spit out the seeds – which are the coffee beans. Kill the monkeys or live with the problem? Luckily, a third way was discovered that made all parties happy – pick up the saliva-infused beans, clean them up, and then sell them for lots of money. 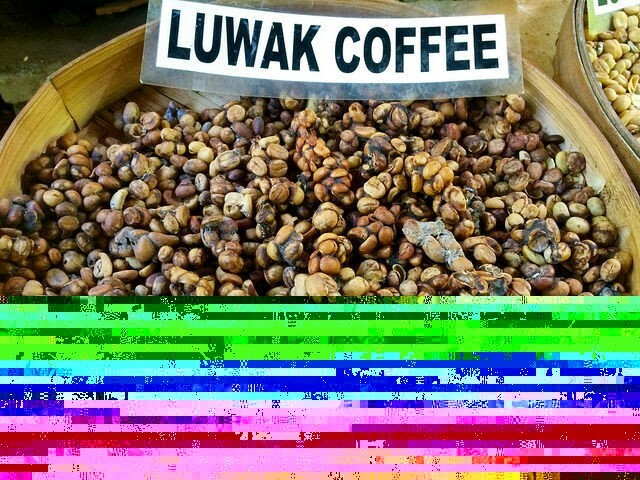 The regurgitated beans make a sweet coffee with a vanilla-like scent, and the coffee sells for over $50 a pound. Read more here. 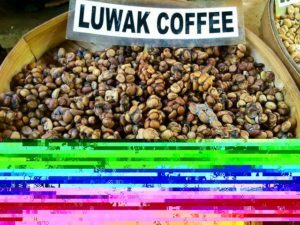 The old classic of the various “poop coffees,” Kopi Luwak has been around for years and is coffee “processed” by going through the digestive system of the feral Indonesian civet. The cat-like civits roam the coffee plantations gorging on the ripe coffee cherries, then digest the cherry part of the coffee while pooping out the bean. Workers then “harvest” the beans from the poop and clean them up (hopefully) before bagging. The coffee is the most expensive in the world. What makes “poop coffees” so delectable? According to our science-inclined coffee geeks, the enzymes in the digestive tracts of the civets ferments the beans, thus reducing their acidity. Also in a Darwinian twist, the persnickety civets only eat the best coffee cherries. The coffee sells for over $400/lb. A sly twist on the “poop coffee” trend, weasel puke coffee is both well-named and also only half as well-traveled as poop coffee. In this case, Vietnamese weasels, who are apparently bulimic, eat the coffee cherries and then regurgitate them from the stomach, meaning you, the appreciator of excellent coffee, get all the benefits of poop coffee without the disgusting part – unless you consider puke to be disgusting. 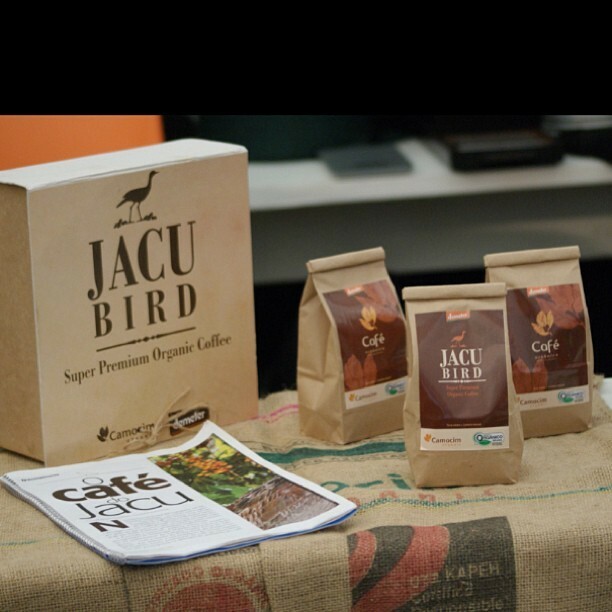 The Jacu is an endangered, pheasant-like bird that is native to the Mata-Atlantica rainforest in Brazil. 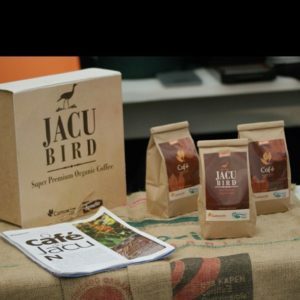 According to this article, a coffee farmer noticed the jacu bird eating the ripest coffee berries from his plants and got a wonderful idea. His first hurdle was convincing his workers to pick the digested berries from the bird poop, but, after that, and convincing his workers to hand-wash every berry they found, it was smooth sailing to making lots of money off of his organic (in more ways than one) Jacu Bird Coffee, which sells for about $250/lb. Call it the Walmart effect. 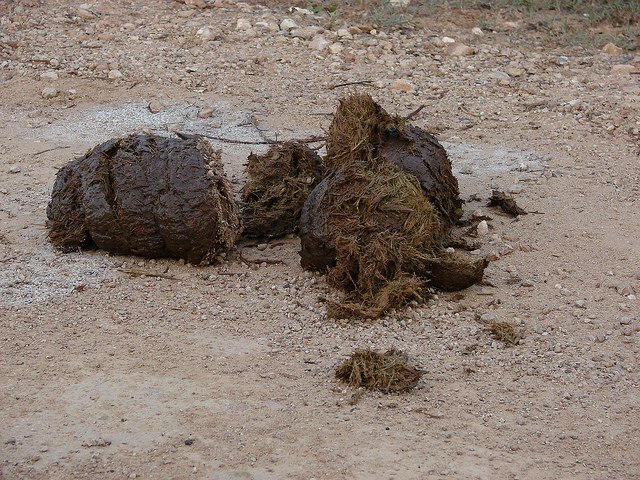 If feral cats can eat and poop coffee, and we can sell it for lots of money, couldn’t we increase volume and make more money by replacing the civits with huge elephants? Of course we could. And thus, a new, earthy, low-acidity coffee was born. Elephant Dung Coffee wins number one in our rankings because the coffee beans-to-poop ratio would have to be the lowest – and elephants are more dangerous than weasels, cats, or birds.